Of course we see it in the work we do. We see that children, teens and even adults can experience learning, growth and change through work with horses. They become less impulsive. They become less self-conscious. They become less anxious. They become more confident. They become more focused. They become more empathetic. They become more empowered and successful in all areas of their lives. But it is great to see that there is ‘growing evidence,’ based on studies that supports our experiences. In this current article in Psychology Today, the findings suggest “Equine therapy alleviates multiple emotional and behavioral struggles”. 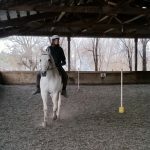 The article lists many of the issues that can be addressed through work with horses, including (but not limited to): Anxiety, PTSD, Eating Disorders and Depression and talks about why Equine Assisted Therapy can be particularly powerful. 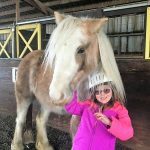 The bottom line is, there is more and more evidence supporting the therapeutic benefits of Equine Assisted Therapy in the treatment of many social, emotional, behavioral and mental health issues. 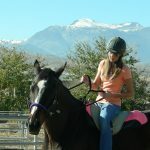 At Nevada Equine Assisted Therapy we work with each client’s team (teachers, therapists, parents/caregivers) to create a unique program focused on the client’s specific issues. Leading a horse can improve focus, build confidence and decrease anxiety. Learning about horse and herd behavior and increase empathy, decrease impulsivity . Since horses are prey animals sudden moves/loud noises can worry a horse. Grooming can be soothing for those dealing with depression or anxiety. If you, or someone you know, are struggling with social, emotional, behavioral or mental health issues, we are here to help. Call us at 775-750-9823 or email us at neatinfo@yahoo.com. We will answer any questions you may have and if you would like, schedule a time for you to visit the ranch. We will show you around, introduce our herd, learn more about what you are dealing with and share how work with horses may be able to help. Most of the time we are dealing with the negative impact of ADHD. 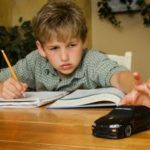 Lack of focus, impulsive behaviors and a myriad of social, emotional and behavioral issues accompany an ADHD diagnosis. This neurological disorder is challenging for the child/teen/adult with the issue, but also for all those who care for and interact with them. However, this wonderful article in Scientific America takes a look at the positive aspects of the ADHD experience, sharing information on creative cognition. The ADHD mind may open many doors to creative problem solving and in being able to imagine new and different possibilities. Of course we have to help get our kids focused and on task so that they can make it through the day and have personal and academic success. But it is also imperative that we help them, and those that interact with them, to see that the way they think is not only different, but very special. In our work with horses we address the impulsivity and lack of focus. Clients have to lead, groom and help with tacking up their horse before they are able to play with them or ride. They get redirects and are advised that the sooner they complete these ‘tasks’ the more time they will have to just enjoy being with their horse. Truly, the most important gift we can give our children is the ability to see that we all have challenges that we need to address, BUT we also all have incredible talents! The ADHD mind is especially suited for creative problem solving and turning ‘concepts’ into reality. Le’s help our kids see themselves as capable and of immense value. This is how we help them reach their full potential! He just can’t seem to focus….Her bedroom is such a disaster. She can never find anything…How could you forget your homework? Sound familiar? Sometimes we just can’t get a handle on what is going on with our kids. No matter what we do, we can’t seem to get them to change these problem behaviors. The truth is, there may be more going on than just a kid who ‘doesn’t pay attention’ or who ‘just doesn’t listen’. When we discover that our child is struggling with a mental health issue, we can begin to find real solutions that work. 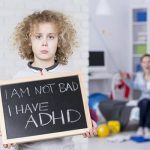 This ‘self test’ provided by ADDitude Inside the ADHD mind, can help you determine if you are dealing with more than just problematic behavior and what steps you can take to help your child if they are dealing with a mental health issue. 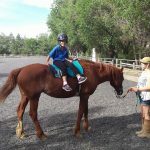 One of the things that has proven to be very effective in helping kids and teens with ADHD is Equine Assisted Therapy. 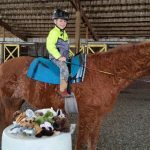 There are several articles that talk about the benefits of Equine Assisted Therapy for those struggling with ADHD. 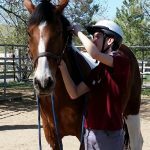 From improved focus to building confidence, Equine Therapy offers unique opportunities for growth, learning and change. 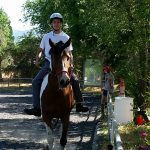 Though is is an older article in EVERYDAY HEALTH, (NARHA is now known as PATH – Professional Association of Therapeutic Horsemanship) the information and conclusions about the benefits of Equine Assisted Therapy are still valid. 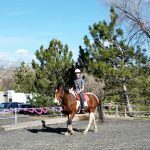 This article in ADDitude Inside the ADHD Mind, talks about how work with horses can help those with ADHD can have feel good about themselves, control their emotions, and promote healthy relationships. 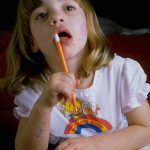 If you have a child struggling with ADHD, seek help. 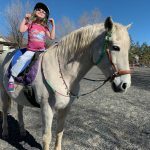 Nevada Equine Assisted Therapy (N.E.A.T.) can be a powerful addition to a comprehensive treatment plan. Give us a call or send us an email and we will schedule a tour of the ranch. We will introduce you to our wonderful herd, learn more about what you are dealing with and share how we may be able to help. There are many challenges when living with or caring for someone with ADHD. The impulsivity and lack of focus is an issue across environments. Parents, teachers and other caregivers do their best but the child/teen struggles and can end up feeling frustrated, overwhelmed and many times, sad and so different than others. Self-confidence and self-esteem can suffer. 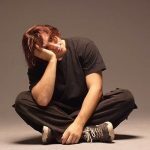 This wonderful article in ADDitude Inside the ADHD Mind, talks about the emotional struggle that those living with ADHD face. It is all to easy to forget that when a child/teen feels that they are not able to do better, they probably won’t do better, and the long-term damage done can be devastating. In our work with horses, our clients learn about horse & herd behavior – why horses do what they do. They are prey animals and very clearly respond to our actions and energy. People who have experienced trauma often experience ‘… intense dysregulation of the central nervous system. This often presents as hypervigilance—constantly scanning the environment for the next threat…’ Horses can sense this and become worried if our energy is too high, so our clients learn and practice self-calming/self-soothing skills that help them manage their energy while working with their horse and ultimately in other areas as well. 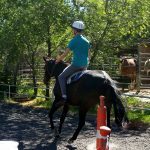 From mindfulness, to building confidence, through work with horses, our clients experience a unique type of growth and learning. There are many things about working with horses that can help those who have experienced trauma learn the skills they need to find a path to health and healing. If you are living with someone struggling with ADHD, PTSD or another trauma response, we are here to help. We can be a powerful part of a comprehensive treatment plan. Call or email us and we will schedule a time for you to visit the ranch. We will show you around, introduce our wonderful horses, learn more about what you are dealing with, and share how we may be able to help. There is a growing body of knowledge about the long-term, life changing impact of early childhood trauma. In this post on the Institute for Attachment and Child Development website they take a look at how “Early trauma negatively impacts the brain and neurobiology during critical periods of development”. The post goes on to talk about the far reaching impact, which can include: Alcoholism and alcohol abuse, depression, illicit drug use, poor work performance, smoking, suicide attempts, risk of sexual violence and poor academic achievement, among others. The post does talk about things that can be done to help survivors heal. It is vital that caregivers understand the issues they are dealing with and that they learn the parenting skills that will help them help their child. 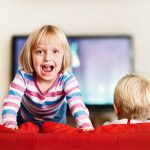 The post also talks about what we can do for the child, such as helping them learn and practice healthy ways of dealing with ‘trauma triggers’ and learning to express their feelings rather than acting out. These are areas that we can address through work with horses. Additionally, our clients have the opportunity to improve self-confidence and self-esteem, important components in helping those who have experienced trauma find a path to a healthier, happier and more productive life. The bottom line – a child who has experience early childhood trauma may very well need special care and support to heal and be successful. There are resources available and we are here to be part of a comprehensive treatment team. Give us a call or send us an email to find out more. We will be happy to schedule a tour for you. We will show you around the ranch, introduce our wonderful herd, learn more about what you are dealing with and share how we may be able to help. I was thinking about this all night and was eager to get this written this morning. Often we race through our days, herding our children from one activity/event to another. Sports, music lessons, amusement parks and so much more. And of course there is always heavy emphasis on doing well in school. 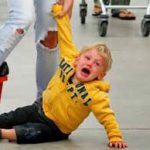 Sadly, our kids are often left overwhelmed and exhausted by all the running around and at least implied pressure to do well. Playing sports or even visiting a roller rink, water park or other amusement park, may be an opportunity for sensory overload. More and more we are finding that doing things that are less intense, things that are just easy and low stress, allows our kids to relax and enjoy just being. Kids will do better when they don’t feel so overwhelmed and pressured. They will feel safe and loved when we take the time to let them do things that they can feel good about and be good at. Don’t get me wrong, academic performance is important, but if school work is overwhelming and always a source of unhappiness, our kids will learn to not only hate school, but feel so badly about themselves. We need to be sure that our kids have the chance to simply be. Do a non-structured art project. Take a walk. Read to them. Allow them to do something that is not about what they ‘accomplish’ but more about enjoying themselves. Help them find wonder in everything around them. Not surprisingly, I would include work with horses in this category of things they can do to enjoy themselves! Our clients learn about horses and herd behavior. Did you know that horses were alive during the time of dinosaurs? Yep, it’s true. Leading and grooming a horse is a very gentle form of exercise. It allows kids to have a moment where they can relax and let go of the stress of the day. Though we have activities set up for each session, no client is required to do anything other than to interact in a kind, gentle and safe way with their horse. Many of our clients will carry this experience with them throughout their busy lives and draw on this moment in times of stress or anxiety. The bottom line is that we help our kids find balance in their lives. If they constantly feel under pressure and overwhelmed, nothing they do will be done well. Be sure that you build into the day time to relax and just be. Thank you again, to all of you who see this and work so hard to see that you children have the opportunities they need to grow and become the best they can be. Kids and teens with ADHD can struggle in so many areas. They often need constant supervision to accomplish the simplest daily tasks. They are disorganized and struggle to remember what they are supposed to do next. They lack focus and can be impulsive. And sadly, their peers and adults can lose patience with them, leading to relationship problems, low self-esteem/confidence and even depression. This is certainly not what we want for the children/teens we care for! There is a lot of evidence that work with horses can be very helpful for those struggling with ADHD. 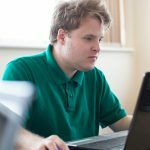 This article in ADDITUDE Inside the ADHD mind shares some of the benefits, from increased focus to better inter-personal skills. We see it all the time! Horses are prey animals and sudden movements or loud noises worry them, so our clients learn that they need to slow down and be more mindful when working around their horses. Another gift that horses give us is that they are incredibly non-judgemental and accepting of us. They take us at face value. If we are kind and affectionate with them, they reciprocate, giving us the opportunity to build a bonded relationship with another living creature. This bond can help our clients develop empathy. Increased focus, improved problem solving skills and increased self-confidence are all other benefits that our clients receive through work with horses. We work with children as young as 4, teens, adults and even seniors. Our clients start out on the ground, with clients learning to be safe and building the relationship they will need to be successful with their horse. Eventually our clients progress to mounted work, where they put the things they learned on the ground about communicating with their horse into practice. 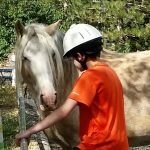 If you know a child or teen who is struggle with ADHD, work with horses may be able to help. We are here to be part of a comprehensive treatment team, providing social, emotional and behavioral growth and learning, as well as Psychosocial Rehabilitation (PSR), a mental health intervention. Give us a call or send us an email. We will schedule a time for you to visit the ranch. We will show you around, introduce the horses in our herd, learn more about what you are dealing with and share how we may be able to help. Our kids can struggle. They have a hard time in school. They have a hard time at home and they have a hard time with relationships. We have to keep after them to get even simple daily tasks done. They feel overwhelmed. We feel overwhelmed. Everyone can lose unless we come up with strategies that work! One of the biggest things that can happen is that we become so focused on all the ‘negative’ things that self-esteem and self-confidence suffer. Our kiddos begin to see themselves as ‘bad’ and incapable of doing things well. They may have few friends. Heck kids know when another kid is always in trouble. The truth is, we are happy when our kids avoid ‘trouble makers’! How sad is that? 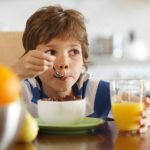 This great article KQED/NPR article talks about the 5 strengths we can help our children develop that will help them minimize the struggles of ADHD. I love the ‘Five C’s method — self-Control, Compassion, Collaboration, Consistency and Celebration…’ that is spelled out here! And guess what? We work on all these areas in our work with horses! Our client’s learn to keep their energy down so that they do not worry their horses. They build caring, bonded and mutually respectful relationships with their horse and the Qualified Mental Health Associate (QMHA) that they work with. They learn that sometimes they need help and how to ask for it and accept it with good grace. They learn that horses like it best when we are ‘firm, fair and consistent’ in the way we work with them AND we always celebrate achievements! 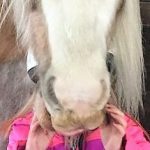 Work with horses can help with so many issues. ADHD is one of them. If you know a child or teen who is struggling, we are here to help. Call or email and we will schedule a time for you to visit the ranch. We will show you around, introduce our wonderful herd, learn more about what you are dealing with and share how we might be able to help. Teens can struggle with so much. On one hand, they may crave the comfort and safety they felt when they were younger, but on the other hand, they are genetically programed to pull away and to become their own person. This can lead to all kinds of challenges. If we add to this any kind of trauma or additional stress, it is not surprising that many teens fit the definition of ‘at-risk’. 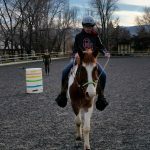 In this Colorado State University article, the focus is on what the benefits of Equine Assisted Therapy are for at-risk-youth. 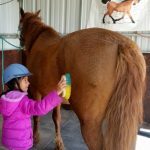 It provides a nice description of what equine assisted therapy looks like and discusses the benefits of this type of work. Look, we have all seen how resistant teens can be to most ‘interventions’. However, the magic of horses can be incredibly powerful. We see it all the time. Improved self-confidence. The ability to set safe and appropriate boundaries for themselves and others. Better problem solving skills. Improved emotional regulation and so much more. 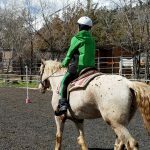 The unconditional acceptance and non-judgemental interactions with horses really appeals to teens, who often feel that everything they do is judged and that only if they meet certain standards will they be accepted. If you know a teen that is struggling, we are here. Call or email us and we will schedule a time for you to visit the ranch. We will show you around, introduce our wonderful horses, learn more about what you are dealing with and share how we may be able to help. Oh my goodness, we have all worked with a child who just seems to react to everything in a negative way. They fight with siblings and are rude and resistant to caregivers, teachers and other adults. They frustrate us and become even more obstinate when we get angry. But hold on. The truth is, something is driving this behavior. 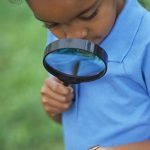 When we stop to consider that it may not simply be a child not wanting to do what we ask, we may discover that their are much more complicated things going on. When we are able to see that a child is feeling anxious, we should be able to change the situation and change the behavior! This article in The Inquirer Daily News, the author, Julie Furst, a child and adolescent psychiatry fellow, shares her experiences with childhood anxiety. We see it a lot. Caregivers are at a loss as to how to deal with difficult behaviors. When we talk with them, we often discover that the behaviors happen in very specific situations that may be triggers for a child’s anxiety. 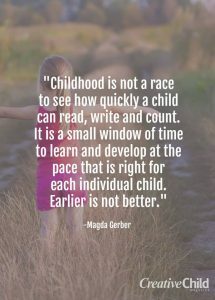 This is especially true when working with children who have suffered trauma. They may find transitions/change of any type very scary. They may seem to always want things ‘their way’. It may be that this is the only way that things feel safe to them. When we understand that the behaviors are ‘fear driven’ we are able to address them in a very different way. Work with horses can be a very powerful way to address anxiety issues. Our clients learn and practice self-soothing/self-calming strategies. They discover that they can set boundaries that keep them safe. Their self-confidence grows as they begin to see themselves as ‘leaders’. And, we help caregivers develop the tools they need to manage the behaviors as well. 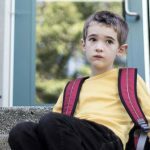 If you know a child struggling with behavior issues, you may want to consider what is at the bottom of the behaviors and seek the help you need. We are here to be a part of a comprehensive treatment plan. We would be happy to schedule a visit to the ranch. We will show you around, introduce our wonderful horses, learn more about what you are dealing with and share how we may be able to help. Call or email today!